When you experience a premature birth, all you can think about is getting your baby healthy, and getting your baby home. Once you are finally through all the hurdles, both emotionally and physically, you have a whole other obstacle to prepare for: Isolation. A baby born early, especially extremely early like a micro preemie, often has a weakened immune system. This means that something like the common cold could be very dangerous for them, and could send them back to the hospital. As the caregiver of a preemie knows, that is the absolute last place you want to go back to. So, how do you prevent your baby from getting sick? Most times, it is recommended that you limit the amount of visitors your baby has, and also to stay away from public places. This can be extremely difficult during the holiday season. Our family was in isolation for 2 holiday seasons, and today, I’m sharing the things that made it a little easier for us. It was by no means an easy time, but there is still so much to celebrate when your baby finally comes home. When you finally make it home from the NICU, you feel a ton of emotions. You are so happy and grateful, yet it can be overwhelming and sometimes scary. Instead of having a whole team of caregivers, like your NICU nurses and doctors, it is now up to you to keep your baby healthy. That can be a daunting task, especially if they come home with any special needs, such as oxygen or a feeding tube. I had never even heard of RSV before. A virus that is like the common cold to most of us can be deadly to babies with a compromised or weakened immune system. Their weakened lungs are no match for this respiratory virus. The nurse told me if my twins caught it, they would most definitely be coming back to the hospital. I was petrified. I think it was right then and there that I decided we needed to isolate ourselves for the health of our babies. No matter how much we loved being with our families on Thanksgiving and Christmas, the risk of going to the hospital just wasn’t worth it. 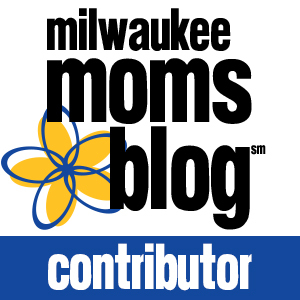 So, how did we isolate ourselves and keep our babies from the dreaded RSV? Some of these things may seem extreme to people that have never cared for someone with a compromised immune system, but they worked for us. Besides getting a few runny noses and an ear infection, our boys did not return for a hospital stay. Obviously, my husband had to work. I still had to get groceries and run a few errands. Other than that, we stayed home. We kept our oldest out of preschool and many activities to limit his chances of getting sick and bringing it home. Immediate family were the only people who were allowed to visit for that first RSV/Flu season. If they felt sick, or had been in contact with someone sick, they were not allowed to come over until they were sure they were OK. While not everyone believes in vaccinations, our doctors did. 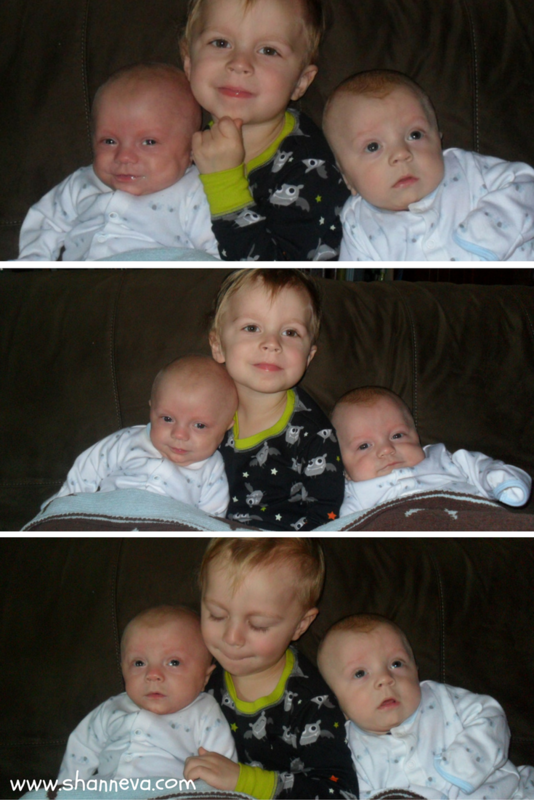 Since they were the ones that kept my babies alive in the NICU, I trusted them completely. We made all family members that were visiting get their flu shot, and make sure they were up to date on the rest of their vaccinations. Whooping cough was an especially important one. Eating right, sleeping, and trying not to stress was pretty hard with newborn twins at home. However, the best defense is a good offense, right? Sleep was definitely the biggest challenge, but we kept the twins in Rock ‘N Play bassinets in our room, so I wouldn’t worry as much. It also made it easier when they woke up to eat. This may seem like a no-brainer, but you need to wash your hands frequently. Like, all. the. time. If you cough, blow your nose, or even lick your fingers after eating, wash your hands before holding your baby. This is especially important to do once you return from outside the home. Being out in public (for work, for groceries,) you run into a lot of people. While you probably don’t bring a ton of germs home that way, you never know. We always took off our shoes and changed our clothes as soon as we got home, and before holding the babies. It may have been unnecessary, but it worked for us. It also gave me peace of mind, which was important for my stress level. In the car, so you can wipe your hands after touching things like shopping carts, those gross pens at the checkout, or even money. It was definitely hard not going to spend Thanksgiving or Christmas with family. We have family traditions that I love and love to be a part of, so I was sad to miss them. I was also sad that my children would not experience them. However, their health was the most important thing. There would be plenty of Christmases and Thanksgivings in the coming years, and to have them around and healthy for those was what I had to keep thinking about. Plus, I would much rather spend a holiday isolated with my husband and children in our house than in a hospital. Some families do not have that luxury. Another thing that made it easier was our family and friends. They understood, or at least respected our wishes. Some were offended and didn’t understand, but the ones that did, truly made it easier on us. Knowing that they would be there for us when we could finally have visitors made the isolation bearable. Our friends and family also helped in the ways that they could. They dropped off food or supplies on our porch, when they knew we couldn’t invite them in. They send grocery deliveries so we didn’t have to leave the house as often. Some even sent diapers and clothing for the babies. Their generosity and thoughtfulness was amazing. Our parents even brought us Thanksgiving dinner. We may not have got to sit around the table with them, but the tastes and smells gave us some comfort. Online support and my writing also made things easier. I joined many Facebook groups, and found other families that were also in isolation. This is also when I really started writing my blog. It was so therapeutic for me, and a creative outlet, as well. The one thing that made isolation worth it was having our family together. It took 93 long days to finally have all three boys together. My oldest could finally be a big brother in person. He could finally see those two sweet babies, and begin to understand why mommy and daddy were gone all the time. He no longer had to be shuffled around, since he wasn’t allowed in the NICU. Our boys all finally together! We, as parents, no longer had to have our hearts split in two different places. We could love all three of our boys in one place…our home. I had missed my oldest son during my pregnancy too. I was on bedrest for most of my pregnancy, and then hospital bedrest for the last 2 weeks. Just having us all together was a gift. So, even though it was extremely challenging at times, and we definitely got sick of being in the house, the alternative just wasn’t an option for us. Isolation is definitely a challenge. However, it is possible to do it, and to still enjoy your life. Keep remembering why you are doing it. Looking at your sweet babies face, or even looking back at pictures from the NICU, will definitely remind you. If you know someone who has to go through isolation, please try to be understanding. You can also do your best to make their life easier by respecting their wishes, and asking if they need anything. Have you experienced isolation? 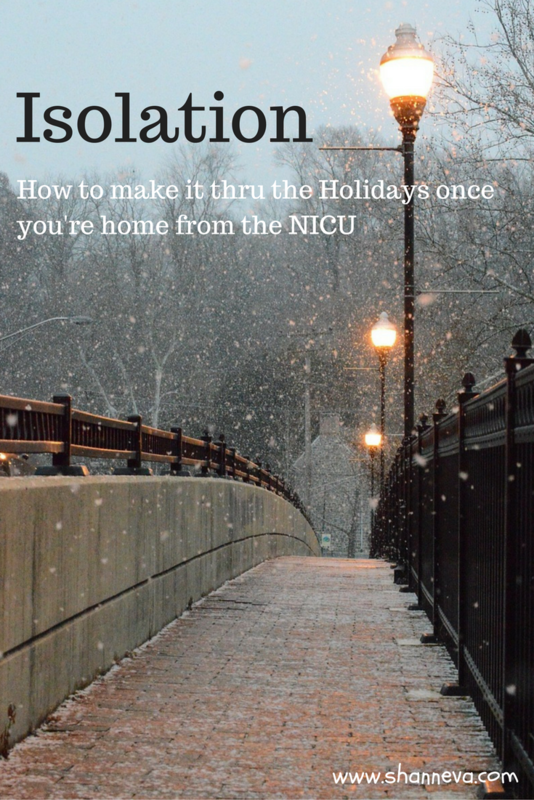 Do you know someone who has to isolate this holiday season? Any other ideas to make that time easier? Thank you for sharing this very helpful post. I am sure it will help others in this difficult situation. Your positive attitude is especially helpful!